The M15 is loaded with a single Adamson ND15-L Kevlar Neodymium Driver, marking the launch of Adamson’s Advanced Cone Architecture – This breakthrough technology makes the ND15-L the only 15” driver with zero axial modes in its entire passband, dramatically increasing the linearized mid-range response, while maintaining a rock solid bottom end (impossible to achieve with a 15” paper driver). 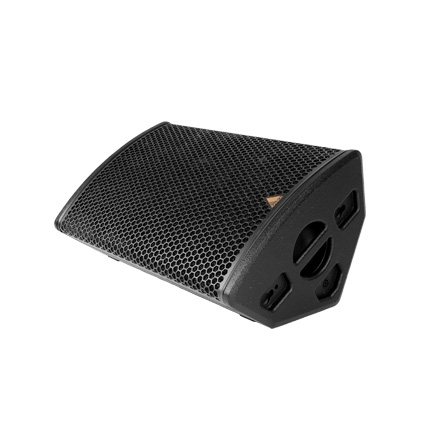 The top end is covered by a 4” high frequency compression driver, giving it extremely high SPL throughout the bandwidth. 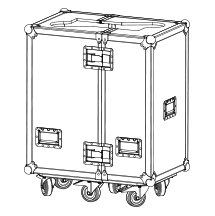 The lightweight package (56.5 lbs/25.63 kg) can be equipped with a switchable internal crossover, allowing bi-amped or passive operation.